Superdry women's Glacier skirt. 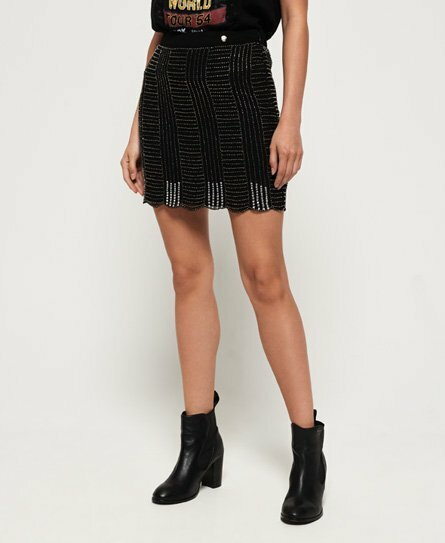 Inject some dazzle into your wardrobe with the Glacier skirt, featuring intricate beaded detailing that is sure to make you shine. The skirt is fastened with a side zip and features a subtle logo badge on the waistband, while scallop detailing on the hem adds that finishing touch. Style with a bodysuit and heeled boots for a glam evening look.